A simple shape and soft contours fuse together in the Bliss tea service. Designer Odo Fioravanti has created a modern porcelain service that is both sturdy and sweet in its expression. Odo Fioravanti took his point of departure from the teapot and cup typology and experimented with creating a simplified and cohesive idiom. The service’s balanced shape fits well in the hand, inviting you to enjoy the moment. The upright spouts and small, round grips add quirky charm, while a plain, matte surface gives a contemporary and clean overall impression. 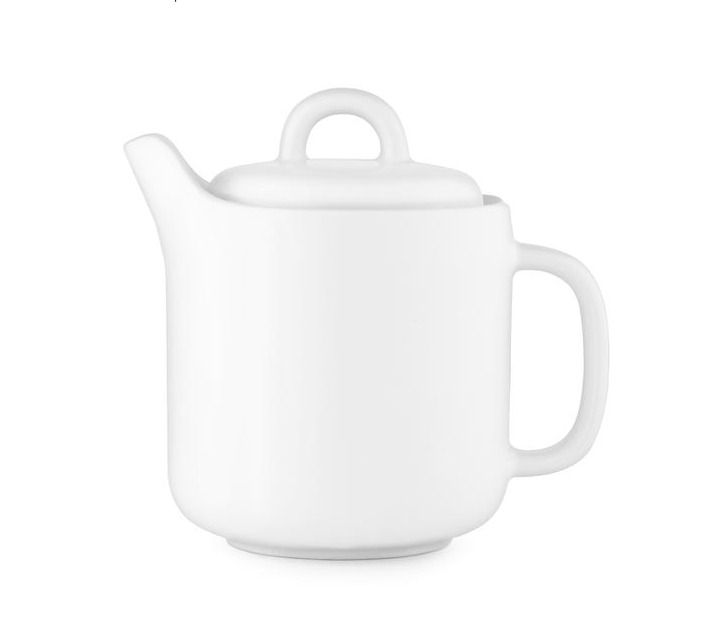 The Bliss service comprises a teapot, sugar bowl with lid, milk jug, cup and mug, and is available in a white or grey glaze. The porcelain has a glossy glazing inside and a matt colored glazing outside.